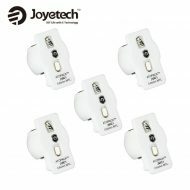 Joyetech Coils | White Mist Co. 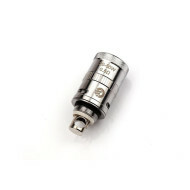 Authentic 5pcs Delta II LVC Coils are made for the Delta II ONLY. 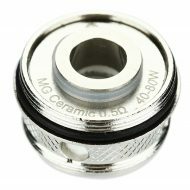 The coil features liquid control so you can control how much can get to your coil. They are available in a 0.5 ohm resistance, and the suitable wattage for using them is 20~45W. Only intended to be used with the Delta II Atomizer. 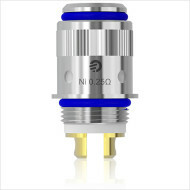 Authentic Ego one CLR Rebuildable Coil designed for the Ego one tanks. 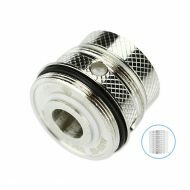 There are two different resistances available for your choice, 0.5 or 1.0 ohm. These are single coils, but put out some impressive clouds! 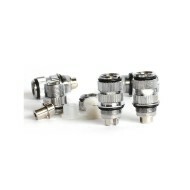 Compared to the traditional Ego One atomizer heads, the “R” in CLR stands for Reusable, Rewickable and Rebuildable. 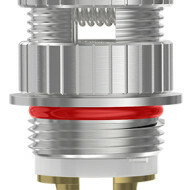 The CLR features a unique body design, allowing users to conveniently replace the cotton and build their own coil. Organic cotton is used for wicking material of the CLR, which provides robust flavor. 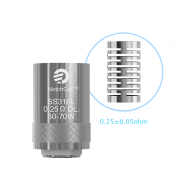 Joyetech BF Notch Coils for Cubis is a brand-new coil with the idea to add surface area, which will brings you great vaping experience ever. It lasts longer and can be used under high wattage condition. 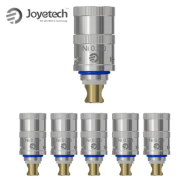 0.2 ohm CL-Ni Head is perfect for your eGo ONE Mega Atomizer, with these coil the temperate control feature on the iStick40 can be used easily. Coils come in a 5 pack. Joyetech MG Ceramic Head applies the innovative Ceramic material with long-lasting lifespan and brings you great pure flavor ever. MG QCS Head is designed for Joye Ultimo tank. QCS (Quick Change System) coil enables to change the cotton easily.